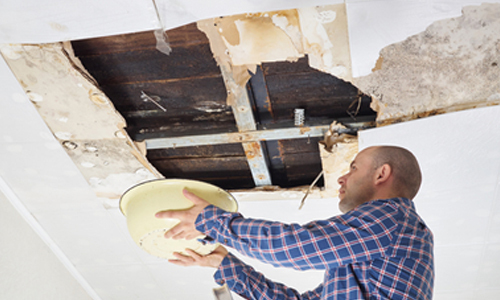 There are many reasons that a leak can occur. Sometimes tree limbs puncture the roof membrane during a severe storm. Other times, age of the materials is to blame. Whatever the reason, it’s important to seek out a professional to fix the problem immediately. If not, you could experience more costly and invasive fixes down the road. Here at Beckwith Commercial Roofing, our specialty is leaking roof repair, one of the more common types of repairs we handle every single day. As a business owner, you can’t afford to shut down operations or compromise the safety of your employees and customers. Consequently, seek out our trained contractors who can offer comprehensive repair services designed to preserve your roof and ensure a long lifespan. Get a free estimate now! Also, we offer consultation services, moisture scanning and an infrared service for hard-to-find leaks. For 35 years, we have been the trusted name in leak repair. 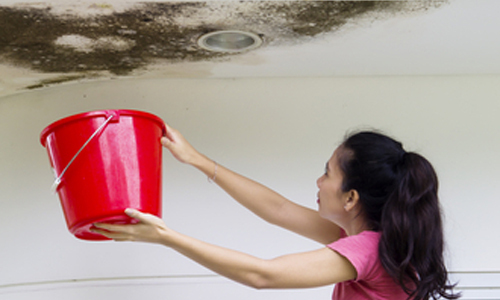 Thus, we offer dependable solutions for a leaking roof in Davenport IA. Many commercial businesses feature flat roofs. That’s because they are a more efficient use of space over large expanses. Plus, they are easier to install than other more complex roof architectures. If you need roof repair or our many other services, don’t hesitate to call us. If you let the problem fester, it will only get worse and will increase your repair price tag. In conclusion, do you have a leaking roof in Davenport IA and need immediate assistance? Contact us at 563-219-7064 or email us at info@beckwithcommercialroofing.com. We are located close by at 1801 S. 21st Street in Clinton.